This month The Classics Circuit is celebrating Meiji Era Japanese classics. The Meiji Era dates from 1868-1912. 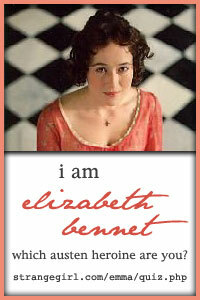 As many of my readers know this is one of my personal favorite periods for literature. However I have never read a work of Japanese writing from this time so I was very excited to spice it up and compare writings of the East with my favorites of that same time period that are more traditionally (for me) from the West. 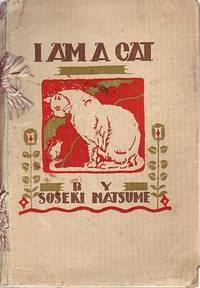 For my first foray in Japanese writing of the Meiji era I chose the classic I Am a Cat by Soseki Natsume. Oddly enough Soseki Natsume’s life spans almost the exact age of the Meiji era (1862-1922). Known as a master of psychological fiction, the author also took a large amount of interest in the modernization of Japan and it’s Western influences. He also took a great interest in cats. The satirical I Am a Cat is the most well known of his works about cats. Originally it was published in installments which makes the work slightly episodic but it also creates the ability for the reader to stop and go back to the novel at different points in time without really losing the rhythm of the story. I really enjoyed this aspect and spread the book over a few weeks delving into it when I had the urge. The copy of the novel I chose to read was translated by Katsue Shibata and published in 1961 by Perigee Books. Our narrator is a cat. A cat of no name in fact. The cat lives with a teacher ( Mr. Sneaze) and his family. He takes the world as he sees it in many ways but also has a very real working knowledge of literature, art and society. The wit and humor of even the simplest situations is immediately one of the best aspects of I Am a Cat. The author takes the everyday life of a cat and combines it with the observations this unobtrusive feline makes about everything from his master to the colorful characters of the neighborhood who call on him. The reader really gets that sense of superiority and pride that emanates from cats. No doubt Soseki Natsume was not only a cat owner but a cat lover as well. His ability to capture the personality and viewpoint of a cat is uncanny. In the end I Am a Cat was a surprisingly modern work for it’s time. It was interesting to see a cat as a narrator at this time in literature especially when you consider the length of the work and the level of writing. We are not talking a few short stories about a cat or a child-like fairy tale. All told my copy of I Am a Cat was 431 pages. At times I got a little bored with the somewhat repetitive storyline but I found if I left the book and came back to it later I really enjoyed it. Again this is where the fact that book was originally written in installments may work for or against it depending on the expectations of the reader. I would suggest reading the book on the side with other reading so as not to become bogged down. I would also suggest that you like cats….this is probably a must for the enjoyment of I Am a Cat. I’m not really a cat person…but I still think this sounds really good. Thanks for your review! I am definitely a cat person, so I will have to read this book. I do appreciate your advice to read this book in small time blocks. Thank you for your review! I got through the first two parts but got bogged down. I intend to revisit it some day. I’m glad you liked it. I am not a cat person but I still found it hilarious at times! Pff, this book is not for cat lovers. It’s satirical. The cat as the narrator is a tool Souseki used. Cat lover or not, anybody who picks up this book should like it.